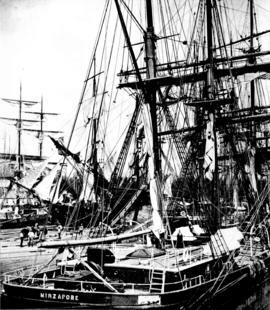 Ship in foreground is the "Mirzapore." 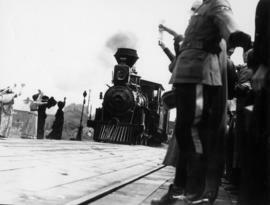 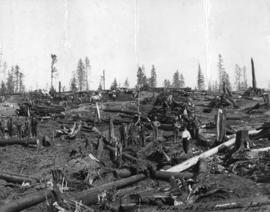 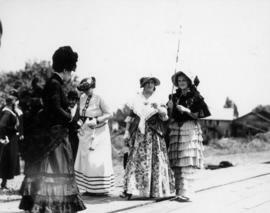 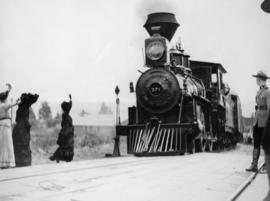 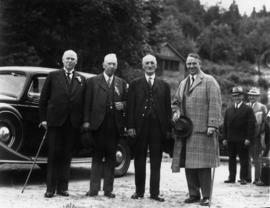 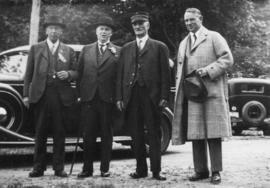 Photograph shows men next to C.P.R. 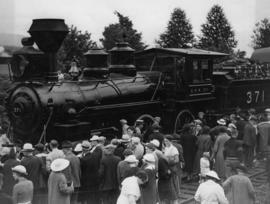 locomotive 371 at the Port Moody railway station. 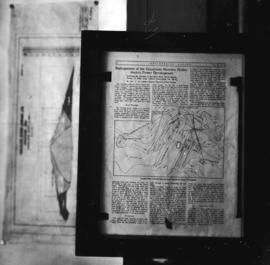 Photograph negative is a copy of a page from a Sept. 21, 1912 article in the "Engineering Record", containing a plan of dam and tunnels. 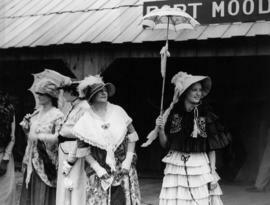 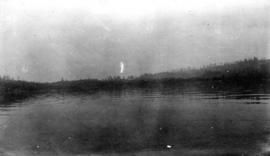 Negative was created in order to produce a lantern slide of the image. 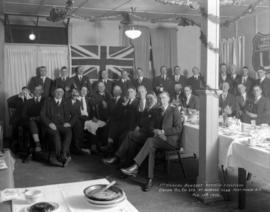 First Annual Banquet Refinery Employees Union Oil Company Limited at Burrard Club Port Moody, B.C. 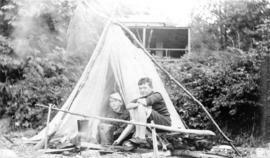 Item is a photograph showing two boys cooking over a fire outside of their tent. 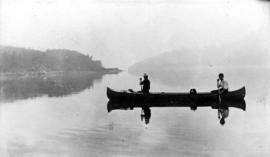 Item is a photograph showing two boys in a canoe at Port Moody. 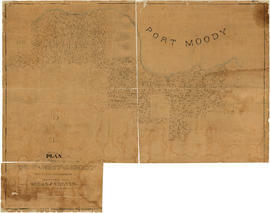 Item is a map which depicts the route of a proposed canal running from Port Moody to the Pitt River through the Coquitlam River. 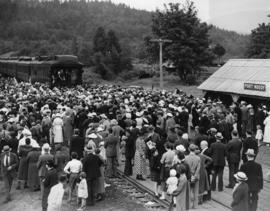 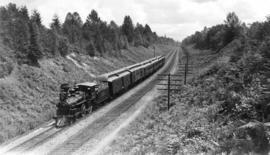 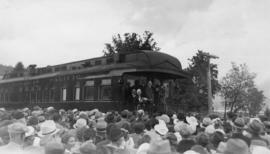 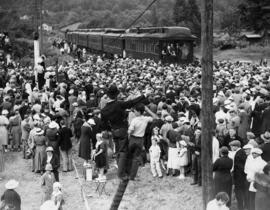 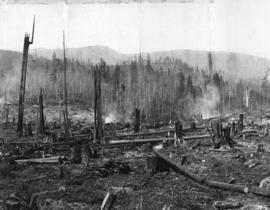 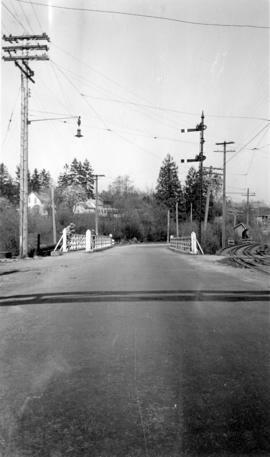 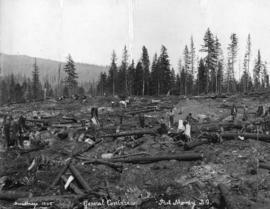 Lot numbers and the Canadian Pacific railway line are also shown. 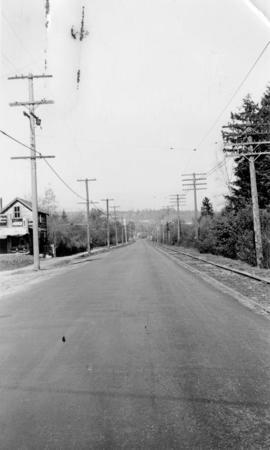 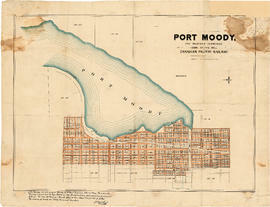 Item is a map showing Port Moody District Lots, blocks and lots, street names, and the "C. P. [Canadian Pacific] Railway Station" and the "C.P.R. 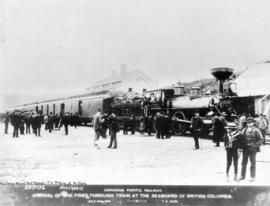 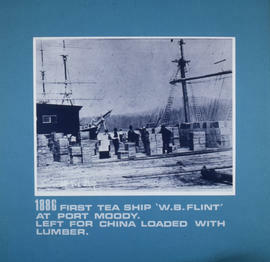 [Canadian Pacific Railway] Wharf." 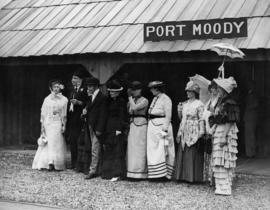 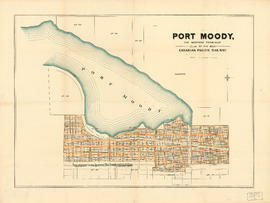 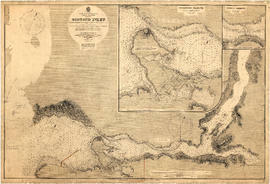 Item is a map showing lots surveys and made available for purchase in Port Moody.